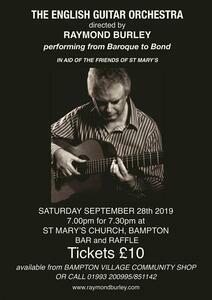 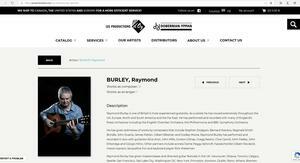 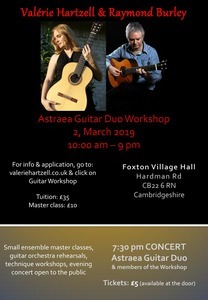 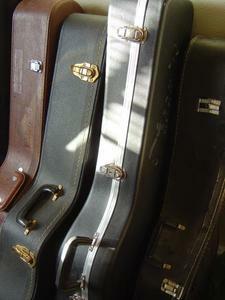 Raymond Burley will lead and conduct a group of 12 guitarists in a concert in aid of the Duchess of Kent's charity Future Talent. 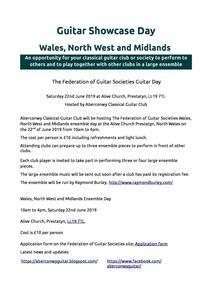 Players taking part are: Arne Brattland, Richard Butters, Stephen Christmas, Roger Green, Debbie Haeck, Mike Hinchliffe, Gary Jordan, Shaun Kennedy, Orsolya Pataki, David Pedder, Andrew Stanton.. 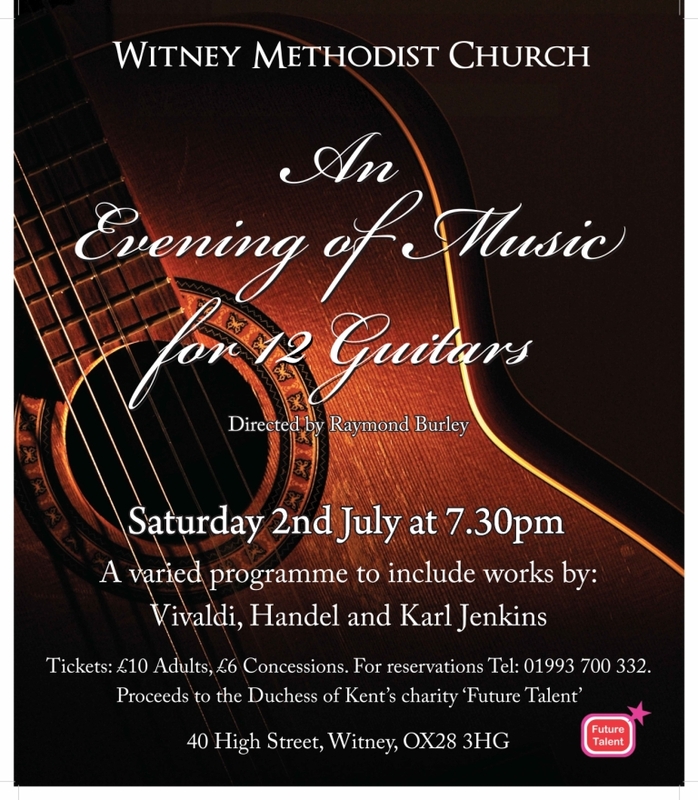 The concert, in the presence of The Duchess of Kent, starting at 7.30pm, will take place in the High Street Methodist Church, Witney.